We travel a lot and food is a big part of our entire experience. While Sikander likes to try everything, being a vegetarian, I am quite limited in my options. In most countries, outside of India, I really have to scout for restaurants and places that will serve good vegetarian food. 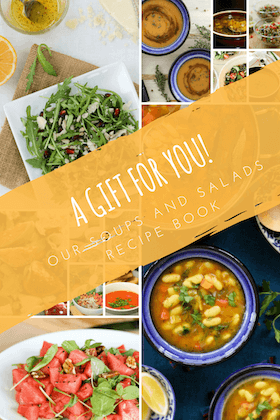 I always felt that someone can benefit from my experience as I benefit from other’s and so encouraged by a few friends, I am planning to share my “being vegetarian in…” experiences. being a vegetarian in Paris. 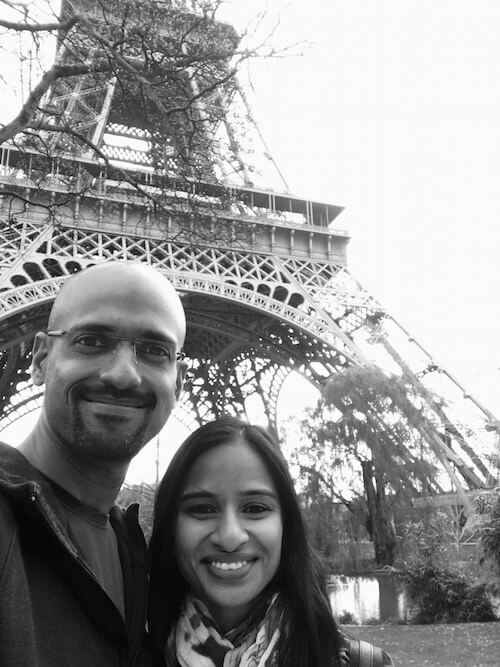 No matter if it’s the first or the fifth time, you have to get clicked in front of the Eiffel Tower! A French friend of mine had warned me “It is very easy to eat crappy food in Paris”. I can totally relate to that sentence. The first time when I visited Paris (in 2009), I think I survived largely on pizzas and crepes. 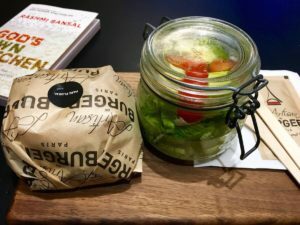 It was my first time, I was too excited about seeing as much as I could that I would be walking all day and suddenly hunger would catch up and I will sit down in random cafes where food was just okay or even bad. And on top of that Paris is expensive. I didn’t want a repeat of that. Apart from being vegetarian; now I also avoid gluten and milk as much as possible. I don’t have an allergy so I came prepared that sometimes I might have to compromise on that. It was a 5 day trip and this time I would look up restaurants beforehand and then plan my walks such that when it was time for lunch or dinner I was closer to that place. 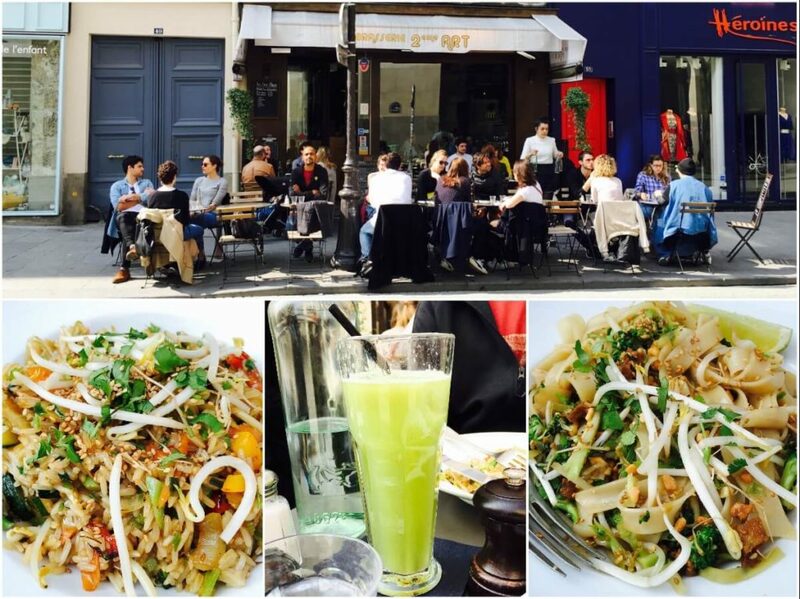 With a little bit of planning, I was pleasantly surprised with such good vegetarian and vegan food in Paris. Here are some of the restaurants that we went to and our experience of food there. Brasserie 2eme art (49 rue Montmartre): This one we were just lucky. It was 3 hours after we had landed and checked in. We were just walking the area, it was already 2pm and our stomachs had started to complain. The outside sitting was basking in sun and we decided we will start our planning from the next meal. This cafe has some very good vegan, vegetarian and gluten-free options. I had the rice wok with grilled crunchy vegetables and Sikander had the pad thai. The rice wok was better than the pad thai 🙂 but both were good. The highlight for me was the fresh cucumber and ginger juice. They had many other fresh juice options. Hanoi Restaurant: This little restaurant had a whole two pages in the menu for vegetarian food! That always makes me feel happy. 🙂 Soups, noodles, fresh or fried spring spring rolls, salads.. there are plenty of vegan and vegetarian options. 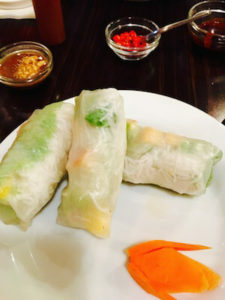 Vietnamese cuisine is anyway largely gluten-free. I wasn’t very hungry so I tried only the fresh tofu spring rolls which were very nice. 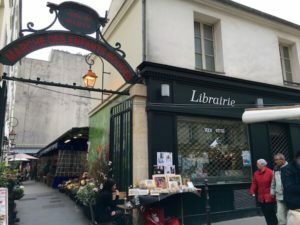 We stayed at an apartment on Rue Montorgueil and the street is lined with restaurants, cafes and bars and within them plenty of juice and salad bars with convenient to-go options as well. Exki has plenty of salads, sandwiches and juice options. Yoko is similar but I liked their juices best. Another juice bar slightly up is Lemon. 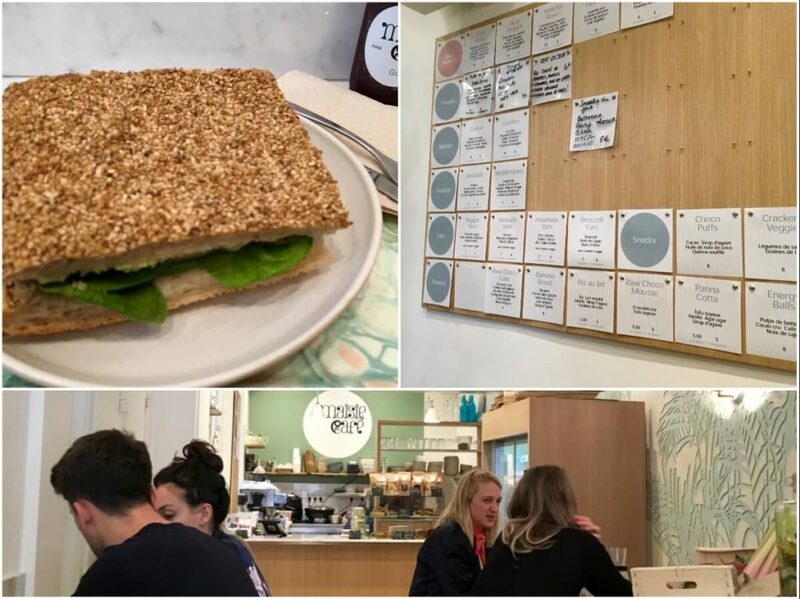 Maisie Cafe (32 rue du Mont Thabor): A little cafe that specialises in gluten-free and vegan food. All their breads are gluten-free. I had my first bread of Paris there! I took the avocado focaccia and the beetroot juice to-go. You can also pick up their gluten free muesli which I have head is a house speciality. L’artisan du Burger (94 Rue Rambuteau): I had their veg burger. This is of course not gluten free! I mean unless you take their salad but one of the days I felt like having a burger. And they don’t have that big fat veggie patty burger. There was actually no patty. It was very tasty with thinly sliced cucumbers, mushrooms, tomato, red onions, feta and arugula leaves and a crunchy lettuce salad on side. 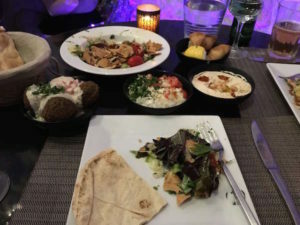 Lebanese restaurants are usually good bets for vegetarian food especially if you like falafels then they can do falafel wraps for you with salads. A lot of the starters are vegan and gluten free as well. We went to Loubnane (29, Rue Galande). While we took the regular pita, the menu mentioned that they can do gluten free versions as well. Btw, Indian restaurants are definitely a good choice for plenty of vegetarian, vegan, and gluten-free food options. 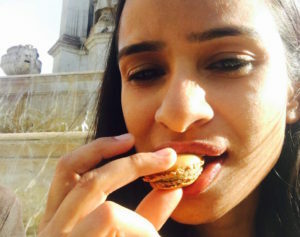 But being an Indian, I am not a fan of eating out Indian especially on short trips so can’t really suggest Indian restaurants in Paris. Apart from eating out, stayed in an apartment so that we had the option to cook if we felt like. The produce and fruits here are so fresh that I can’t help but pick them up. They seem to be talking to me from the streets 🙂 Simple salads at home were easy to make; gives a break from planning the next meal and is also much cheaper! There are many fresh produce shops around and also speciality stores selling gluten-free breads and organic produce like Naturalia. 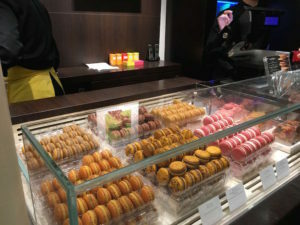 And just before leaving Paris, for once we forgot our no-milk, no sugar and no-gluten restrictions, to enjoy the best Macarons at Pierre Hermé. My personal favourite is the coffee flavour.